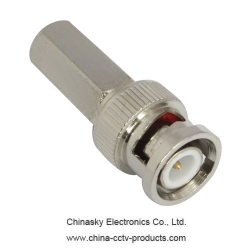 This BNC connector fits most RG59 type coaxial video cables (non-plenum). This BNC connector does not require any special tools to install. A coax stripper is enough.